In this episode, we review our brand new about pages, Alex freaks out over a little red paint in a photo, and then Natalie drags Alex kicking and screaming into the next challenge – inventory your week. There are 168 hours in a week, and though you may not realize it, you might not know exactly where all that time is going. 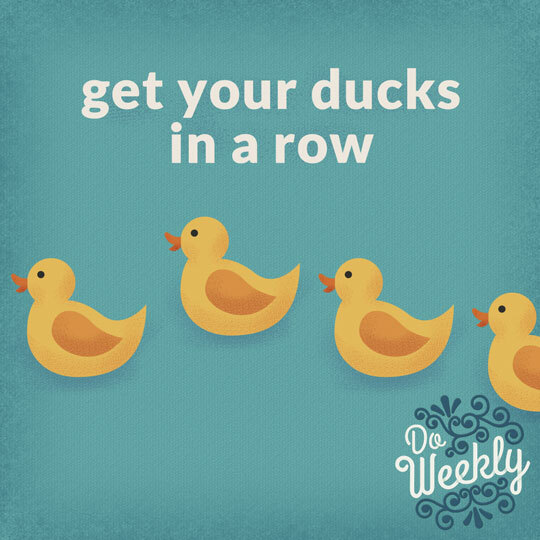 This week, we’ll pay attention to where we’re spending our time so that we can look at where we can make some changes that will improve our work/life balance and our productivity. Look, we know this is a hassle. But you’ll probably be surprised at how much time you’re losing to some time-wasters that have become habits. And it’s only a week. You can do anything for a week. If you’re tech-savvy, you might set up a Google sheet that you can access from a phone, a tablet, or a computer where you can enter how you’ve spent your time hour-by-hour. Otherwise, you can use good old pencil and paper. Write and tell us about it! 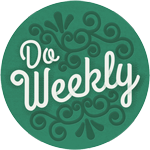 Tweet us @doweeklypodcast, use our contact page, or email us at TalkToUs@doweeklypodcast.com. We won’t make you share your whole inventory (unless you want to) but let us know what you learned and what changes you’ll be making.